For the websites to incorporate Artwork Tool (Designer) in the same way that Sign Store websites work, a company record needs to be created within the Designer Admin area and API Key obtained. The new release candidate includes now the ability to house accounts under what we call a ‘Trusted’ Group. In this scenario it refers to an API Key being created for use on multiple websites. This would relate to a distributor signing up for our services and utilizing multiple websites, primarily website spins from the Standard/Ultimate systems. In this scenario ALL Customer Focus customers will be created as a new company/website within ‘Trusted Group’ – Trade Only. 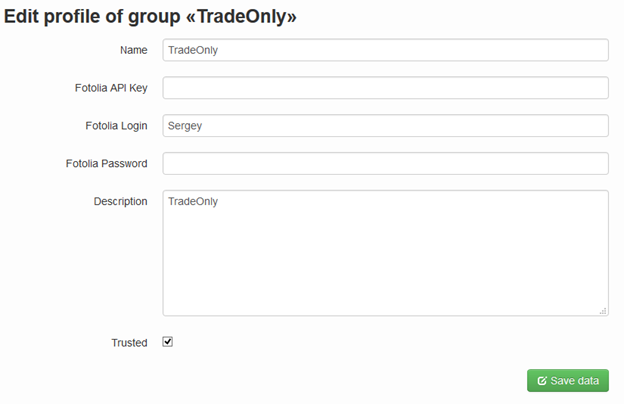 At present all other companies, including Sign Store and external companies using Artwork Tool will be assigned to ‘Non Trusted Groups’ meaning we can ensure that the API Key generated CANNOT be applied to additional websites. The screenshots below display the new setting that has been introduced as part of this release. * Note the ‘Trusted’ checkbox introduced as part of the main record.